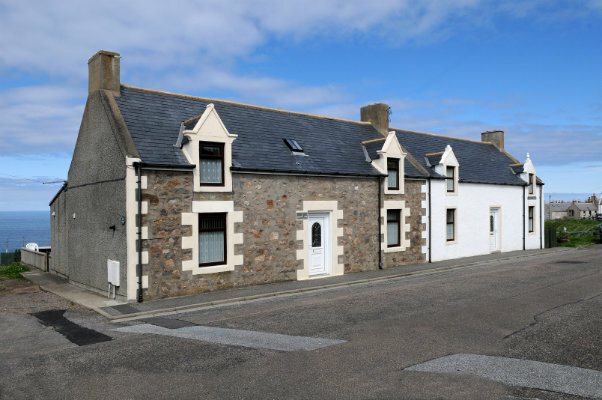 These modernised three bedroom cottages, sleeping up to six people, are situated on the Moray Coast in the quiet village of Portknockie, approximately 15 miles from Elgin. Aberdeen, Inverness and Aviemore are within 1.5 hours drive. Each cottage is fully furnished and equipped ex-linen i.e Flat Screen TV with Freeview, Microwave, Fridge/Freezer, Oven/Hob, Washer/Dryer, Electric Kettle, Dishwasher, Iron, etc. Cots, highchairs and Stair Gates are available on request at time of booking. All cottages are fitted with gas central heating to ensure your comfort during early/late season bookings. All cottages have free WIFI available. Parking is available at all cottages. 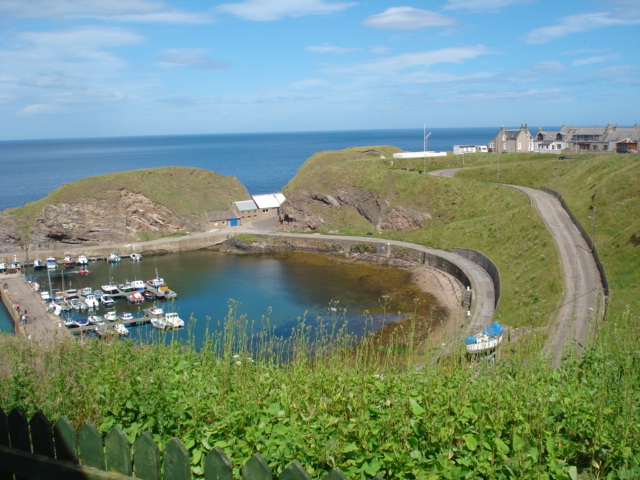 Short breaks available outwith peak season. Sleeps 6. 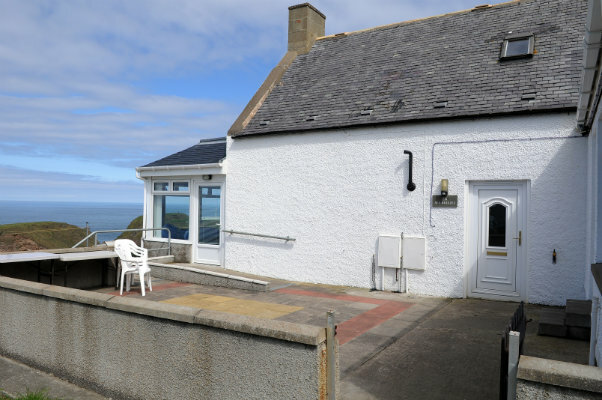 Overlooking the harbour, this two storey semi-detached cottage has a superb view of the Moray Firth and Portknockie Harbour. The ground floor comprises of a double bedroom, bathroom with separate shower, lounge opening into a kitchen with conservatory and dining area with panoramic views of the bay. Upstairs consists of a double bedroom and twin bedroom. The cottage is double glazed and has gas central heating throughout. There is an enclosed garden at the rear of the cottage. Strictly no pets. Sleeps 6. 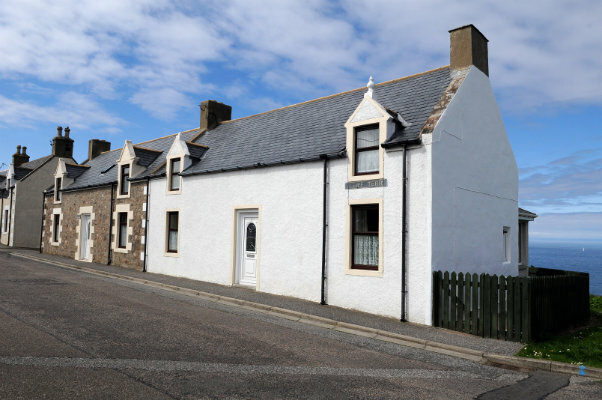 Adjoining White Gables, this two storey cottage also enjoys superb views of the Moray Firth. The ground floor consists of a lounge, dining kitchen, twin bedroom and bath/shower room. Upstairs consists of one double bedroom and one twin bedroom. The cottage is doubled glazed and has gas central heating throughout. There is a patio area at the rear of the cottage. Strictly no pets. Sleeps 6. Adjoining Dolphin View, this two storey cottage has a conservatory with views over the harbour and the Moray Firth, a large dining kitchen, a double bedroom with en-suite wetroom and a separate bathroom with a shower over the bath. Upstairs there is a double bedroom and a twin bedroom. Double glazing and gas central heating throughout. This cottage can accommodate disabled persons. Strictly no pets.